Ballpark Estimate: $200,000 initially + $5,500 per month. If you’d like to open your own bed and breakfast, there are some things to consider before you dive head first into this endeavor. It takes a certain set of personality traits to be successful in such a service-oriented position. For instance, you must like meeting new people and be able to rise early to face the daily responsibilities involved. In addition, you must also be willing to embrace the concept of sleeping with strangers in your home on a regular basis. Keep in mind that this means you may have to sacrifice some of your privacy, but if you set things up well, you should be able to maintain a semblance of your own personal space. And overall, the tradeoff just may be well worth it, thanks to all of the nice people you will meet each day. As the owner and operator of your own bed and breakfast, you can expect to reap many benefits. For instance, you will have a unique opportunity to meet people from all over the world and to form lasting bonds with some of them. Owning a bed and breakfast can also offer the perfect work situation, since you get to be your own boss and to work right from the comfort of your own home. This eliminates the need to waste time on your commute and saves on gas money, too. In addition, operating a bed and breakfast is a great way to bring your family together to work as a team toward a common goal. You may also find yourself getting real pleasure from doing simple tasks well, such as cleaning the rooms, setting up meals or tea, completing the laundry, ironing sheets and towels and laying them out for your guests. Further, you will have a chance to exercise your creative side to add little extra touches, such as home-baked cookies and fresh flowers, to make your guests feel at home in your setting. Finally, many bed and breakfasts operate seasonally, so this job may provide you some downtime to travel or explore other interests on the side. Being an innkeeper is truly the ultimate stay-at-home job, but with the freedom of working at home also come the responsibilities of a seven-day-a-week commitment that you can’t escape. You must wear many hats to complete the daily chores and have to be very good at multi-tasking. You also must be able and willing to deal with people and their wide range of personalities and demands, and to handle unreasonable requests with a calm demeanor and a smile. It is important to understand that unless you are located in an area that draws a great many tourists, you may have difficulty attracting people to come there. Further, the off-season may be longer than you can afford to go without guests, so you may need to rely on a secondary income source to help cover your living expenses. You should also know that not everyone is cut out to operate a bed and breakfast successfully. In fact, recent statistics indicate that some bed and breakfast owners suffer from burnout within five to seven years. In addition, if you do change your mind and decide you aren’t cut out for this position, a bed and breakfast can be difficult to sell, based on the number currently advertised online. Whether you will be able to make enough money running a bed and breakfast to cover your expenses and actually make a profit also depends on many factors, so it is important to proceed with your eyes open if you are considering jumping into such a venture. It’s possible that you already own a home that would be the perfect spot in which to run a bed and breakfast, but if not, you will need to invest in such a property to house your new business. If the latter is the case, you will face all of the standard expenses that come with purchasing a new home or starting up a business. To get Cost To Run A Bed And Breakfastan idea of what type of costs are involved, let’s assume that you are purchasing a home that costs $750,000 and that you will be taking out a mortgage or business loan at 7 percent interest. You will need to put down 20 percent—or $150,000—so you will be financing the balance of $600,000. In addition to the standard mortgage closing costs, you will need to set aside money for property taxes. For the sake of calculations, let’s assume they are 1 percent of the property value, and let’s also estimate another $10,000 annually for umbrella insurance. If the bed and breakfast is small enough (let’s say five bedrooms for the sake of calculating daily work and expenses), you should be able to manage the cooking and cleaning on your own, at least at the onset, to help minimize your other expenses. But even doing much of the work yourself, you will need to cover a variety of other start-up costs to furnish the bed and breakfast with all of the necessities. For instance, furnishings and renovation costs (including electrical, plumbing, painting and landscaping) will cost $25,000 or more to get things up and running, assuming you’re starting with a house in fantastic shape to begin with. You should also expect to spend at least $25,000 for supplies like mattresses, sheets, blankets, smoke detectors, road signs, promotion/advertising, new kitchen equipment, etc. So a total of at least $200,000 cash investment up-front and $5,500/month for a $750K Five BR B&B. If you purchase an Cost To Run A Bed And Breakfastexisting bed and breakfast with all of its trappings, you can cut down on the need for renovations and furniture. Ideally, you should look at homes in popular tourist areas, as these will be easiest to keep fill with guests on a regular basis. Usually people who choose to stay at B&B’s aren’t looking for a bargain, but are willing to pay well for an elegant or homey setting, where they will receive very personalized service. Therefore, you should take steps to provide first-class accommodations and can price your rooms accordingly, as long as the market in your area can bear the expense. When pricing your rooms, look to similar facilities in your area for comps and also consider what you are offering for guests. For instance, many guests today prefer private bathrooms, so you can charge more for rooms with the bathroom attached. Shared baths are also acceptable, but the rate for this type of situation is typically a bit less. 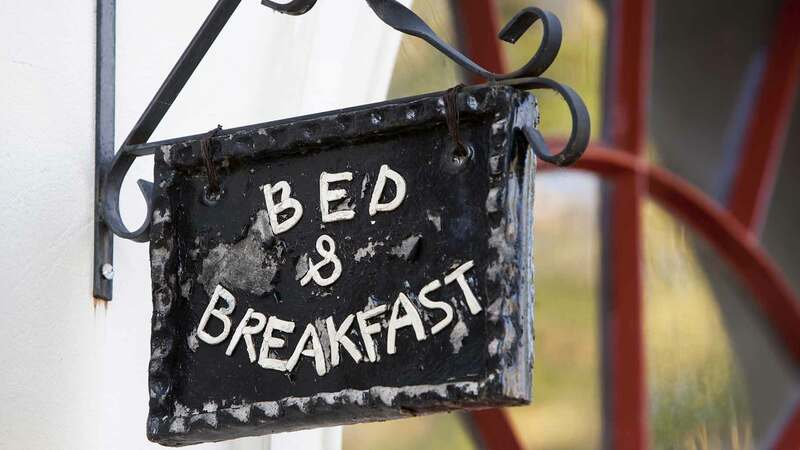 Statistics reveal that most bed and breakfasts operate at only about half of their capacity, so if you are running a bed and breakfast with five rooms to let, you can assume that not all of them will be full on a regular basis. In addition, if you live in a seasonal place, such as an ocean side resort, assume that during the winter you won’t get many visitors. Out of 365 days a year, if you charge an average of $100 a night per room, that’s $182,500 annual gross income you can expect to make if you filled all five of the rooms every night. So if you were able to operate at 50 percent capacity, you would make $91,250 before taxes and operating expenses. You will need to find out what regulations exist in your area for running a bed and breakfast. These can vary by state and municipality. Often the size of the home (i.e., how many rooms you are Cost To Run A Bed And Breakfastrenting and how many guests will be staying) is a determination in whether you need any special licenses and zoning approval, but check with your local Chamber of Commerce to find out what the rules are in your city or town. Some of the types of licenses you may need include a motel license, food service license and trade registration license. You also may need approval for meeting all local and state fire codes. Finally, you will need to check with your state revenue department to find out about charging hotel and sales taxes. Finally, if you think you’d like to pursue the option of owning a bed and breakfast but aren’t quite ready to make the financial commitment, you might look into being an “inn sitter” for other owners of bed and breakfasts who need someone to fill in when they are away. This is a great way to try out the role to see if you like it before you jump right in.